The new Huawei P20 Pro Phone sports a very impressive camera. 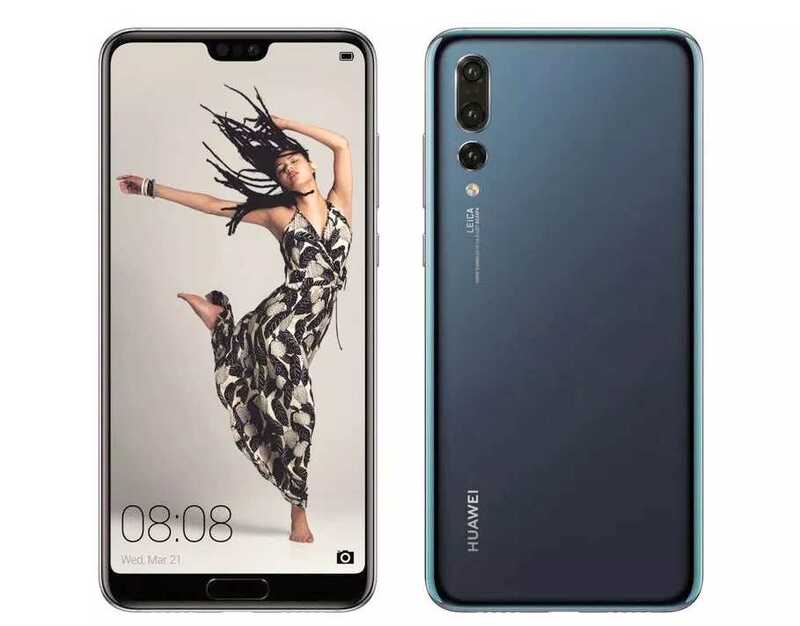 Rejigit recently upgraded to a Huawei (pronounced Wahway) P20 Pro Mobile Phone, principally because of its high-end camera specs including its onboard Leica Sensors. A 4000 mAh battery and 128 GB of storage are also impressive. 40MP RGB Sensor (bottom) (f/1.8 Aperture, 27mm Focal Length, 1/1.73 inch Sensor - 7.76 mm x 5.82 mm). 20MP Monochrome Sensor (middle) (f/1.6 Aperture, 27mm Focal Length, 1/2.7 inch Sensor). 8MP Telephoto Sensor (top) (f/2.4 Aperture, 52mm Focal Length, 1/4 inch Sensor) Optical Image Stabiliser. The three front camera sensors equate to a total of 68 million pixels. Camera mode options include Panorama, 3D Panorama, Slow Motion, Monochrome, HDR, Time-Lapse etc. Pro Mode allows for control of ISO, White Balance, Exposure, Shutter Speed etc. Images can be shot in DNG Raw File format in addition to default jpegs only in Camera Pro Mode and other than in Pro Mode, the camera reverts to jpeg format. Front Camera (Self Portraits & also used for Facial Recognition) 24.8MP CMOS Sensor (f/2.0 Aperture, 26mm), 1080p. Zoom via Leica Optics; 3x optical Zoom & up to 5x digital hybrid Zoom (not available in 40MP setting). The P20 Pro has the highest maximum ISO spec of any smartphone currently on the market at 102,400 (Apple and Samsung’s most recent models offer a maximum ISO of 6,400). In the case of a four second exposure, the P20 Pro creates an effective ISO of 100,000. AI (Artificial Intelligence) Image Stabilisation driven by the Kirin 970 Chipset allows for the capture of blur-free, handheld shots in low-light using Night Mode. Night Mode also balances high-contrast scenes for clear, light-balanced shots in any setting (day or night). The Master Artificial Intelligence (AI) setting can be used on a photo-by-photo basis or permanently disengaged. Laser PDAF (Phase Detection Auto Focus). The 4-Way Hybrid Auto-Focus system (driven by the Kirin 970 processor in conjunction with the Neural Processing Unit) uses a Laser Sensor for depth, contrast and phase detection. The main camera module includes a laser transmitter and a laser receiver and the flash module includes a colour temperature sensor and the AI controlled, LED Flash in 3D Portrait Mode produces highlighted facial contours. The Flash unit's dual-tone colour temperature sensor analyses ambient light and adjusts the flash accordingly. The Flash unit is also capable of differentiating between the colour of a subject’s skin and the colour of the room the subject is in. Light Fusion Technology combines information from the three camera sensors which helps deliver higher quality images by way of lowered noise levels and an extended dynamic range. The Integrated Light Fusion system is useful in low-light conditions and is able to fuse four pixels into a single larger pixel thereby increasing the 1μm pixel size on the RGB Sensor to 2μm (1μm – 1 micrometer = one millionth of a meter). 4D Predictive Focus and AI assists the camera to track moving subjects, e.g. a flower waving in a breeze. The auto AI Stabilisation system in the P20 Pro enables handheld exposures of up to 8 seconds (AI Stabilisation also operates in Video Mode – suitable for shooting while walking). Super Slow Motion provides for HD Video at up to 960 frames per second (0.25s recorded in 960 fps Super Slow Motion Mode equates to approximately 8 seconds of standard video). 4K Video records @ 30fps and Time-Lapse Video operates in 720p @ 30fps format. Live video recording of phone screen (press and hold Power Button together with Volume Up Button). In Pro Mode the camera can be set to 40MP and in any other mode (Night, Portrait, Photo..) the camera auto reverts to 10MP. Individual shots can be pre-set to either Standard or Vivid Colours or Smooth Colours. The default Portrait Mode produces softer (i.e. more glamorous) images than Photo Mode for selfies. Portrait Mode blurs the background of an image and retains an emphasis on the central subject in focus. Pro Mode allows control over metering mode; shutter speed, sensitivity (ISO), exposure compensation, focusing mode and white balance. While Pro Mode may be interesting for experienced photographers, some other options are denied. It is not possible for example use the Aperture mode to blur backgrounds. HDR (high dynamic range) Mode takes three differently exposed images in rapid succession and combines them to create the most realistic shot. HDR cannot be turned on permanently and requires activation manually and in HDR mode 10MP is the maximum setting and optical zoom is disabled. Aperture Mode allows for the blurring or focusing of image backgrounds to allow superior depth of field (focus can sometimes jump around with the P20 Pro). Image blur can also be adjusted post-capture (tap image thumbnail / tap image / tap aperture icon and drag a preferred setting). Aperture Mode (also known as Bokeh mode), is auto activated in Portrait Mode and there is no need to select it). The widest Aperture setting available is f/0.95 which results in very shallow depth of field and the narrowest is f/16 which results in greater depth of field and renders much more of the image sharp. Unlike some digital Bokeh systems, the P20 Pro applies a degree of fall-off in sharpness in order that areas close to the focused point are softer than the focused area but not as soft as the background. Aperture Mode provides a good facsimile of a wide-aperture image which can elevate a Portrait shot and together with the AI Stabilisation system enables sharp images in very low light without the need to push camera sensitivity overly high. Choose a point in the image to focus on and select a simulated f-stop – as low as f/0.95 and up to f/16 (greater depth of field). Aperture settings from f/2.4 down to f/1.6 can minimise visible noise and loss of detail in low-light conditions. Exposure Compensation; By way of example a scene which comprises mostly light tones, such as a snowy winter landscape will sometimes confuse a camera’s metering modes. To capture such a scene as you would prefer to see it rendered – accurate colours and detail in the highlights, it may be necessary to apply exposure compensation of say +1 or +2EV. Conversely, subjects or scenes which comprise predominantly darker tones may benefit from a negative exposure compensation adjustment. The Camera system can identify nineteen different likely image categories and settings are automatically adjusted via AI in real time.